S.A. had been waiting decades to bring her daughter and now her grandson to the U.S., where she is a legal resident, from her native El Salvador, where she escaped violence and poverty. For S.A., the news was as shocking as it was devastating: "It hurts me every day that we are apart." 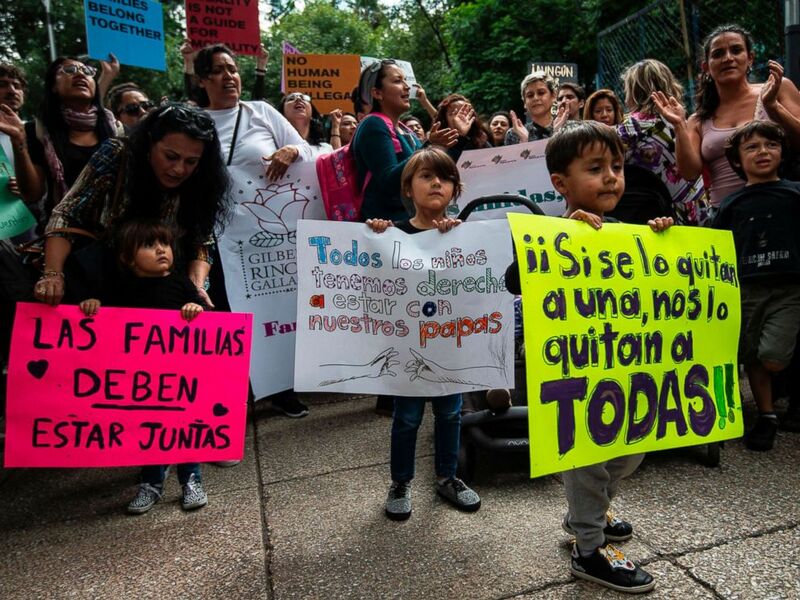 Children take part in a protest against U.S. immigration policies outside the U.S. embassy in Mexico City on June 21, 2018. The Central American Minors program, which reunited children and other eligible family members with parents legally residing in the U.S., was one of Trump's early targets as he sought to crack down on legal immigration. Designed during the Obama administration to avoid the scenes at the U.S.-Mexican border that have gripped the nation this week, its termination is now being blamed by some for worsening the migrant crisis and possibly sending more children north. 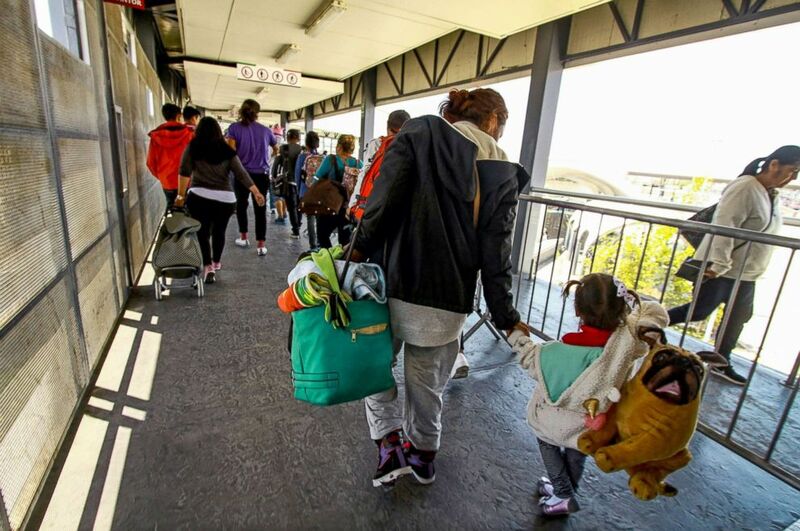 "Ending this did exacerbate the situation on the border ... When the program shut down, now these individuals have no choice but to remain in daily danger or to try come to the United States by land," said Linda Evarts, an attorney with the International Refugee Assistance Project, which helped to bring the case. The administration's "unprecedented, unexplained, and unsupported secret shutdown" of the program is also under fire for how it was carried out, with little to nothing communicated to recipients months after the decision was seemingly made and no real explanation ever given. Lawyers also contend that the real reason was discrimination against Latinos. 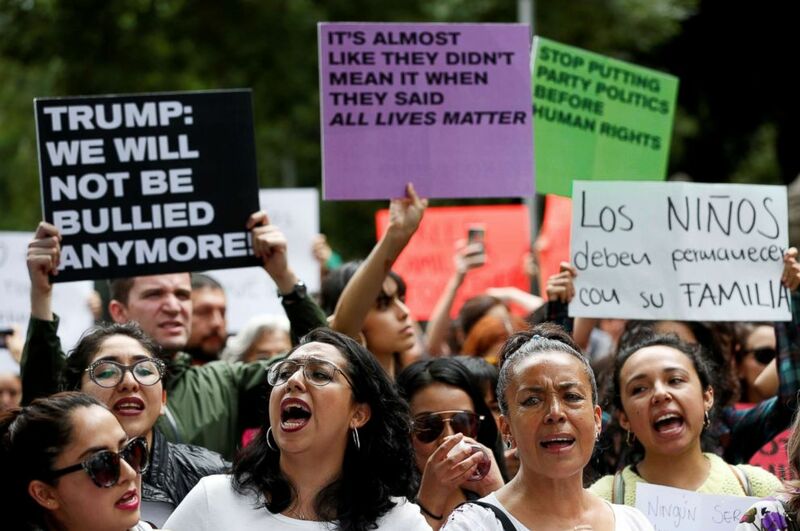 Women yell slogans during a protest against U.S. immigration policies outside the U.S. embassy in Mexico City, Mexico, June 21, 2018. On the cusp of being reunited, it's now left families -- like S.A., who asked to go by her initials out of fear for her safety and that of her family in El Salvador -- out of options and money. Crying, she told ABC News in an interview, "I plead to the president to find it in his heart to consider us ... I'm asking for compassion from the president." That path became the Central American Minors, or CAM, program, which allowed parents lawfully present in the U.S. to apply for refugee resettlement or a temporary status called parole for their children and other eligible family members -- the child's other parent or caregiver or the child's own child, the parent's grandchild. "When I heard about the CAM program on the news, I was filled with joy at the possibility of being reunited with my family," S.A. said in her sworn statement as part of the lawsuit, adding in her interview with ABC News that she and her daughter finally had hope that her daughter could "come here for a better future for herself and her son." Families had to prove their relations through a DNA test, applicants had to be interviewed by U.S. Citizenship and Immigration Services, or USCIS, and applicants had to meet the definition of a refugee -- someone outside the U.S. who is fleeing persecution due to race, religion, nationality, political opinion or membership in a particular social group. Parole allows non-U.S. citizens to enter the country for a period of time on humanitarian grounds, although it does not automatically provide a path to legal status. Similar programs were created in the past for Vietnamese fleeing in the 1980's, Filipino World War II veterans, and certain eastern Europeans after the collapse of the Soviet Union. CAM parole applicants had to prove they were not at risk of harm, had cleared background vetting, and had someone to financially support them. Once they were granted approval, there were a series of final checks to clear: a medical exam and paying the U.S. or its contractor to arrange flights. They'd then be given a travel date and instructions to meet an official at the airport and receive their paperwork and plane ticket. That was where S.A. and her daughter J.A. were in the process -- having paid $2,500 for flights and having been told they would travel in two weeks, but still awaiting instructions. Five days into the Trump administration, interviews for the program were "cancelled until further notice," according to emails obtained by the plaintiffs through a Freedom of Information Act request and reviewed by ABC News. On February 3, two weeks into Trump's term, staff at USCIS's Refugee, Asylum, and International Operations Directorate were told via email that all departures were also "temporarily suspend[ed]." At the same time, the administration stopped scheduling interviews for new applicants, stopped issuing decisions to those who had interviewed, and stopped scheduling the requisite medical exams for those already conditionally approved, according to the lawsuit. In effect, the lawsuit argues, the administration, "without notifying the public," had "blocked their travel." Citing the ongoing litigation, the State Department and the Department of Homeland Security, which jointly ran the program, declined to answer ABC News's questions, including to confirm whether those specific claims were true. But an archived copy of USCIS's own website from just nine days prior says otherwise, describing how people can apply. Either way, it's clear that no one informed most of the recipients who had been granted conditional approval, as they followed through on their final steps and planned their new lives with reunited family members. "Notwithstanding its secret shutdown of the CAM Program, the Trump administration continued to solicit and accept funds from applicants, leading them to believe the program was still operational," the lawsuit alleges. 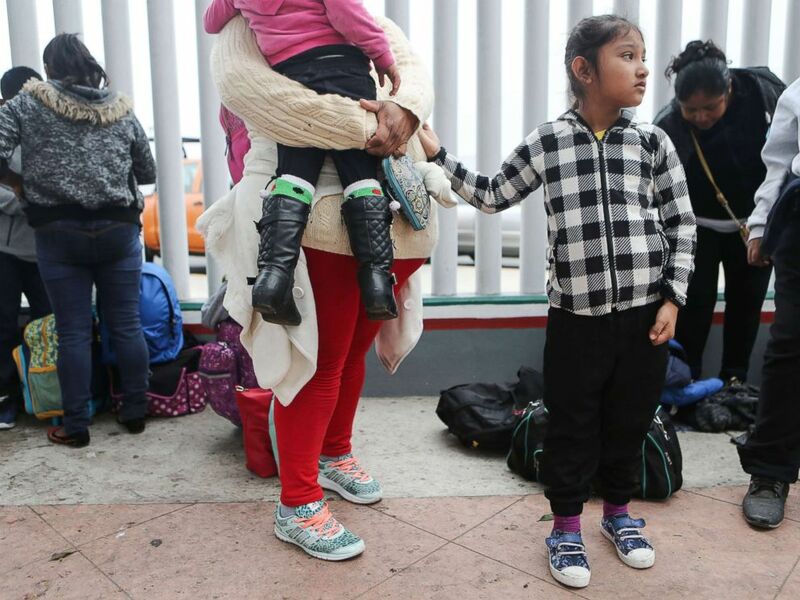 A migrant mother waits with her two daughters on their way to the port of entry to ask for asylum in the U.S., June 21, 2018, in Tijuana, Mexico. Eventually -- in most cases, after a year of waiting -- applicants were reimbursed for the cost of plane tickets or for medical exams that were paid for but not completed, but not for auxiliary costs like the interest on R.C. 's loans or the dangerous travel to and from interviews in each country's capital. S.A. calculates that she lost approximately $1,383 on her daughter and grandson's interviews and application expenses, as well as suitcases for them to travel with and new clothes she planned to gift her grandson. When the administration finally announced in August that the program was ended, it was through a notice in the public register -- one that revoked conditional approval for those 2,714 people in a single sentence: "USCIS will notify individuals who have been conditionally approved for parole under this program and who have not yet traveled that the program has been terminated and their conditional approval for parole has been rescinded." "I was confused and thought the cancellation would not apply to my family because they had already been approved and passed their medical tests, and I had paid for their flights," said S.A. Instead, their families were left trapped in the turmoil of their home countries -- where the threats that they faced became horribly real. In fall 2017, R.C. 's oldest son J.C. was playing soccer when he "was beaten by MS-13 members to the point where he lost consciousness and required emergency surgery," according to the lawsuit. S.A.'s fear for her daughter and grandson is overwhelming, she said, telling ABC News they "can't go out without fear that they won't come back alive." At one point last year, she sent her daughter money to go into hiding in another part of El Salvador to get away from an MS-13 gang member pursuing her. The lawsuit against the Trump administration argues that it broke the law by not adhering to its own regulations for the program when it continued to publicly welcome applications, accept payments and not inform each recipient of the program's demise -- only to rescind their conditional approval en masse with no explanation. The plaintiffs are arguing that doing so was a violation of the Administrative Procedure Act, which governs the way the executive branch's agencies behave, because the decision and manner it was carried out were "arbitrary, capricious, an abuse of discretion, or otherwise not in accordance with law." "It strikes me as not a particularly well-thought-out process for dismantling the program and I think that in the end could lead a court to find that it's arbitrary and capricious," said Kevin Johnson, dean of the University of California, Davis School of Law. "You got a secret decision made, money being taken -– it looks like the keystone cops are running this part of the government." The suit also carries a heavy charge that Trump's administration also violated the Constitution by acting out of "racial animus against Latinos," saying the move "can only be understood as another one of this Administration’s cruel and xenophobic policies against people it has publicly labeled 'animals.'" The plaintiffs cite "President Trump’s long history of racial slurs and epithets toward Latinos" and "the Trump Administration’s targeting of Latinos for disfavored treatment." In particular, their lawsuit references nine statements from President Trump and half a dozen more from then-candidate Trump, including his comments that federal judge Gonzalo Curiel couldn't be fair in a Trump University lawsuit because of his Mexican heritage and his infamous campaign announcement speech in which he said Latin Americans were "bringing drugs. They’re bringing crime. They’re rapists." While the executive branch has broad sway over immigration policy, Johnson said that as with the litigation against Trump's travel ban, his rhetoric turns an easily dismissed case for a normal administration into a much harder battle. 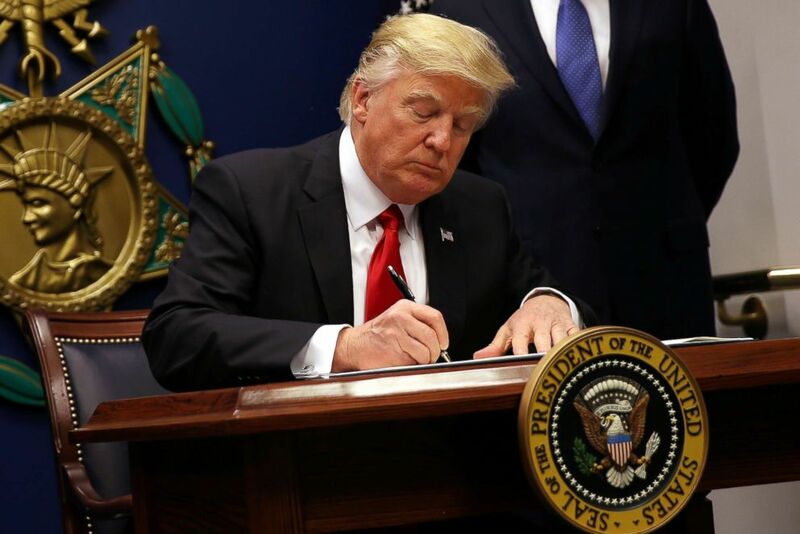 President Donald Trump signs an executive order to impose tighter vetting of travelers entering the United States, at the Pentagon, Jan. 27, 2017. "Ordinarily, I would think this would be an extremely difficult case to win, but under the circumstances, I think it’s going to be a harder case for the administration to prevail on," he told ABC News. But given the power of the presidency, it's unclear whether that will happen. Trump's first and second version of the travel ban ultimately died in the courts, but the third version will face a decision at the Supreme Court this month -- and its fate could forecast the future of this lawsuit. In the meantime, Trump continues to remodel immigration in America, through his rhetoric, but more powerfully by deploying executive authority like in this case. Similarly, he implemented a "zero-tolerance" policy for anyone who crosses the border illegally -- which has led to the family separation because children cannot be held in jails -- before reversing it with an executive order under intense pressure. 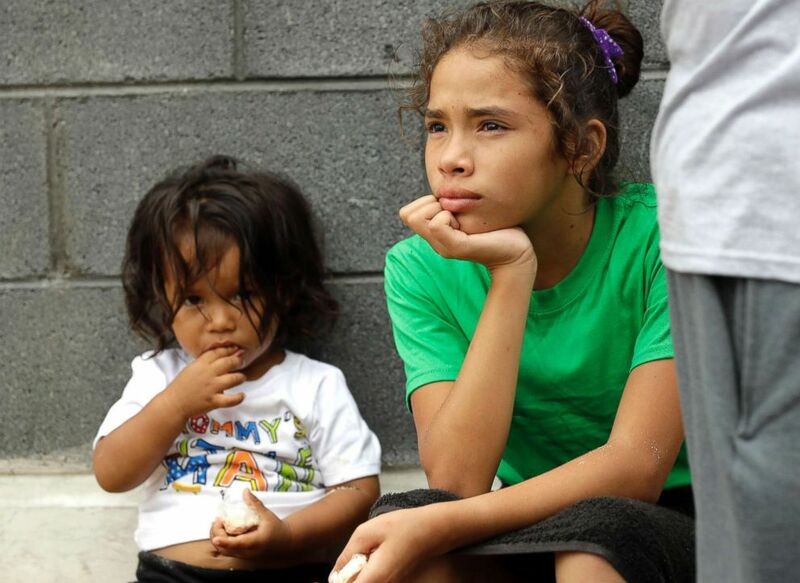 Angui Funes, right, sits with her brother, Jesus, after crossing the border back to Reynosa, Mexico, June 21, 2018. Experts also argue that ending the CAM program may force other families to send their children or loved ones on the dangerous trek over land to the border. Michelle Brané, director of Migrant Rights and Justice at the Women's Refugee Commission, likened it to a burning house: "Preferably you've got fire escapes and the front door to go out of, but if somebody shuts those mechanisms, people aren't going to just sit there and burn. They’ll find another way out." Central American migrants cross into the United States at the El Chaparral border crossing, in Tijuana, Mexico, May 4, 2018. Brané added that the termination is a boost to the smugglers, or "coyotes," that lead migrants on the treacherous journey, often with little regard for their safety -- or even abusing them along the way. "Canceling that program handed smugglers a whole population of vulnerable kids that are desperate to get to safety," she said. "It empowered smugglers, frankly." That's an option that S.A. at least has chosen not to make. She cried at even the thought of having her daughter, grandson or other children who did not qualify for the CAM program make the journey. "I would never think to bring them here that way. It's too dangerous. They can die on the way or be raped or killed, and I could never think of trying to bring my kids like that," she said. Instead, she's unsure of what happens next, as the reality that her family is not coming starts to sink in. And it's not just the fear for their safety that she has to live with: In fall 2017, she was diagnosed with breast cancer, forced to undergo surgery and two weeks of radiation without her daughter by her side.